Disposa-Shield from Dentsply ensures that you can benefit from a “state-of-the-art” system to provide the solution to your cross-infection needs, offering barrier protection to those awkward handpiece assemblies. Furthermore, avoiding the use of chemical disinfectant may prolong the life of plastic coverings. 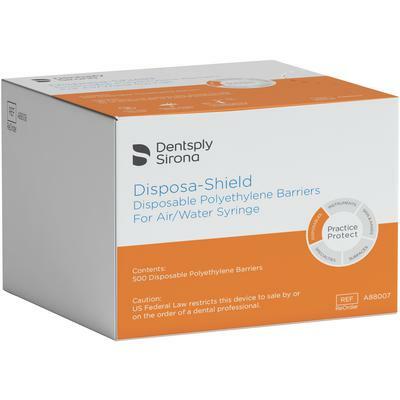 Disposa-Shield provides 5 different barrier systems, which combine clarity and strength to give effective protection for your patients and all the dental team.